Bellingen’s beautiful Market Park is having a makeover. And it needs your help! 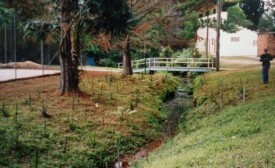 Bellingen Urban Landcare have obtained funding through the Bellingen Shire Council’s Environmental Levy to upgrade fencing, control weeds and undertake planting of local rainforest species in the park. Tim Scanlon, Chairperson of Bellingen Urban Landcare said “the Market Park is an important focal point for the community and the natural areas of the park provide a cooling and pleasant backdrop to the busy monthly markets”. “The position of the park means that it can cop the full force of floods, destroying fencing and disturbing soil; leading to erosion and encouraging weed growth”. A working bee is to be held this Saturday at the park at 9am to control weeds and plant local native rainforest species. “Planting trees in a central park such as this is certainly a feel-good activity, especially when you realise that your children and theirs may enjoy the benefits when they are at the markets in many years to come” Mr Scanlon said. Cake, all tools and supervision by a trained bush regenerator will be provided on the day. 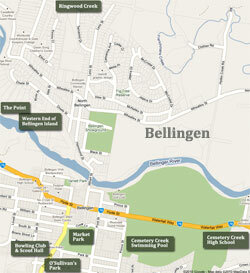 The Bellingen Urban Landcare AGM will follow the working bee at 5 Church Street at midday.